My predictions for the male and female Pros (including a “heatmap” of the strengths of each athlete). 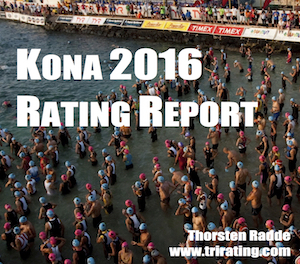 If you want to know more details about the previous results of the Kona Pros, here’s a self-contained HTML file (that you can download locally – right click and “Save Link ..” or similar) with the “2016 Kona Pro Data“. I’ve had a great chat with John Newsom and Bevan Eyles on the IMTalk podcast (Episode 535). The Kona previews I have written for triathlete Magazine are available on the web, check out my look at the female and male fields. Tawnee Prazak and I have a race preview chat on the EndurancePlanet “Kona Special“. On the “Cup of Tri” (Episode 93) Rob Wilby and I put a special focus on the chances of the British Pros in Kona. I’ve had a long chat with Bevan McKinnon (who will be racing in Kona and hopes to do well in the M45 agegroup) about how the Kona Pro races are shaping up and who to look for on Fitter Radio. I’m stoked to be in the same episode with legends such as Lisa Bentley, Paul Buick, Brent McMahon and the IM Talk hosts Bevan and John. On Witsup.com Stef Hanson presents the Wahine Warriors – videos of some of the best female (wahine) triathletes as they prepare for the 2016 Ironman World Championship in Hawaii. The series covers Michelle Vesterby, Lisa Roberts, Leanda Cave, Annabel Luxford, Linsey Corbin, Mirinda Carfrae, Alicia Kaye, Susie Cheetham, Sarah Piampiano, Heather Wurtele, Jodie Swallow and Mel Hauschildt. Stef also offers an interesting “look behind the scenes” of her Kona coverage and her view on the women’s race in “Kona 2016: Through the Eyes of the Chief“. For 220 Triathlon Tim Heming has written his predictions for men’s and women’s races. Scott (the bike company) has a “Moments of Kona” series of posts about athletes such as Annabel Luxford, Cyril Viennot, or Luke McKenzie, including a cool video about Sebastian Kienle preparing in Australia. Sarah Piampiano has a series of videos about her Path to Kona. Slowtwitch has been posting Tim Carlson’s Kona Previews for years – here are his men’s preview and women’s preview for 2016. Bob Babbit’s “Breakfast with Bob” series of interviews with great Kona guests will start on Monday, but his podcast already has interviews with Boris Stein and Luke McKenzie. Bob’s “Breakfast Interviews” are available on his YouTube Channel. 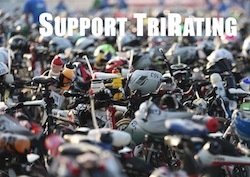 For the German language readers there are tons of video interviews on tri2b, Tri-Time and TriMag. First Off The Bike has published their podium picks for the male and female races as well as a number of other posts focused on specific athletes. TriZone’s Shawn Smith offers his views on this year’s Kona field and his podium picks – while he has two Australian women on the female podium he hasn’t picked any Aussie male! Red Bull TV has produced “Iron to the Core“, a fantastic 15-minute video about Sebi coming short in his title defense last year and building towards this year’s race.